Onions are more than just garnish for hamburgers or steak. 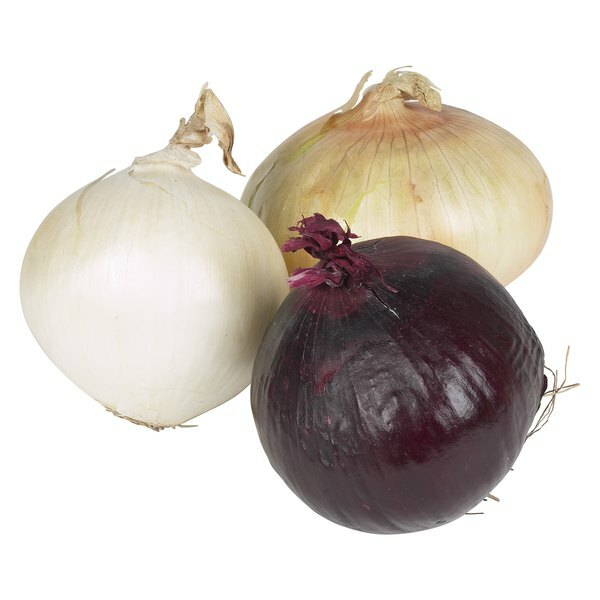 Onion slices on hamburgers, minced onions on hot dogs or chili, and chopped onions in spaghetti sauce or meatloaf -- these are the ways that many people use onions, in or on something else. Surprisingly, baked sweet onions are a tasty, healthy side dish on their own. Bake them whole, sliced or cut open like a flower blossom to make a simple side dish for meat or poultry dishes, or serve them with a dipping sauce as a tasty appetizer. Peel the onions and cut off the tops. Discard the peel and the tops. Place the onions in a shallow baking dish with 1/2 to 1 cup of water in the bottom. Bake the onions, uncovered, at 300 degrees Fahrenheit for 1 to 1 1/2 hours, until the onions are soft when you squeeze them. Dot the onions with a little butter or margarine and sprinkle them with the salt and pepper. Bake them for 10 to 15 more minutes. Remove the onions from the oven and transfer them to a serving dish. Sprinkle with balsamic vinegar or grated Parmesan cheese, if desired. 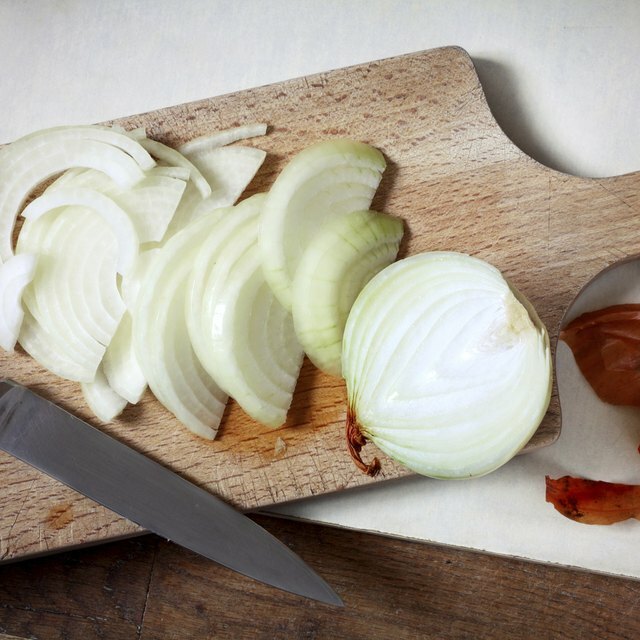 For an attractive appetizer variation, peel the onion and remove the top. Slice wedges down into the onion without cutting all the way through so it falls open like a flower. Bake as directed in the steps and remove from the oven. Sprinkle with margarine, salt, pepper and Parmesan cheese. Serve with a spicy ranch dipping sauce.